It seems like lately, every time you turn on the television, someone’s getting a makeover. People are losing weight on “Biggest Loser,” and becoming model material on “America’s Next Top Model.” It’s funny that there aren’t any shows dedicated to dental makeovers, because cosmetic dentistry is one of the best ways to improve your appearance. Although, a cosmetic dentist isn’t going to be able to help you become a model or lose weight but anyone can look better if unsightly dental issues are taken care of. You might be confused as to the difference between dental reconstruction and a makeover. It’s simply this – a reconstruction is something that you must have done in order to make your teeth work properly. Sometimes, a makeover involves reconstruction, but basically it’s something that you decide to have done for no reason other than to give you a better smile. You don’t have a whole lot of choice when it comes to most types of reconstruction, but a makeover is entirely up to you, and what you have done depends on the cosmetic dental problems that you want to have corrected. If your teeth and gums are generally in good health, then a smile makeover can be a great option for you. If there’s anything that you don’t like about your smile, a cosmetic dentist can help. Poor Alignment and Spacing – If your teeth are gapped, crooked or overlapping, they can be straightened. Discoloration – Dark, discolored teeth can make you look prematurely aged. On the other hand, a bright, white smile can take years off your appearance. 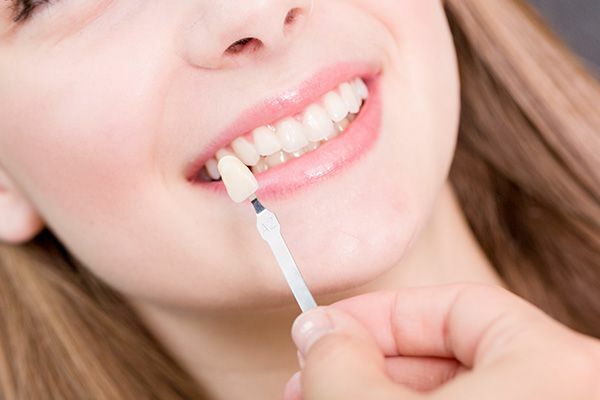 One of the best treatments for discolored teeth is porcelain veneers, and with this procedure you are not limited to your original tooth color – your cosmetic dentist can help you to choose just the right shade to complement your skin tone, eyes, and hair color. Aging Face – It is inevitable that as you age, your face will begin to sag. This is because of loss of bone volume. If your face is sagging, treatments can include maxillofacial surgery and orthodontics. Missing Teeth – Even one missing tooth can look bad. It can also affect your bite, and increase the risk of decay. Missing teeth can be corrected using bridges, dentures or implants. In short, practically any cosmetic dental issue can be corrected using various smile makeover techniques. The key to longevity when it comes to a smile makeover lies in how well you take care of the cosmetic dental work once it’s completed. Most procedures do not require any more care than you would give your natural teeth. Of course you need to brush and floss regularly, and you should also see Dr. Spellman for regular checkups. If you’re reading this, you probably have issues with your smile. So contact Dr. Eric Spellman for a consultation today. Larchmont residents can reach Dr. Spellman at 914-618-3400. Dr. Spellman and his team will be happy to meet with you to discuss your smile makeover.